According to the new projections from consulting firm A.T. Kearney the popularity of robot advisors is going to explode. In 5 years assets under management are going to increase 68% annually to about $2.2 trillion. “They’re less a threat to the current businesses of traditional advisors, who for the most part have happily ignored young and middle-aged investors to focus on Baby Boomers,…Younger consumer preferences will have an outsized impact on financial services as firms race to respond to new trends.” Laura Varas, a co-founder of the research firm, said in a report. Such services provide investing information as well as portfolio management. This uses algorithm software to identify suitable investments. The way that it works is that the robo advisor works on developing a portfolio that is grounded in information provided by the investor. This information includes that on financial positions as well as investment targets. 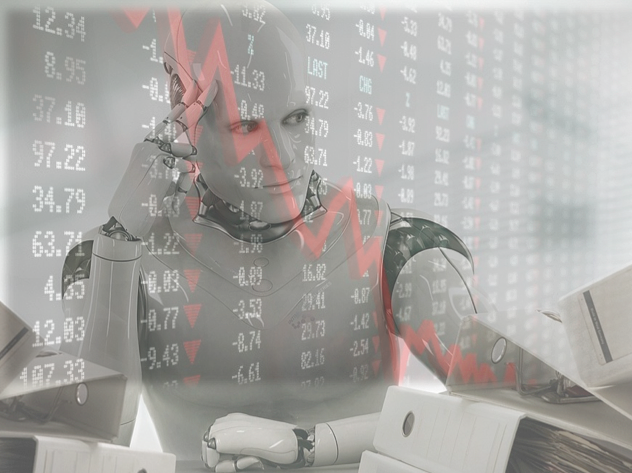 Robo advisors commonly take a quite basic and simple investment approach, and they focus largely on exchange traded funds (ETFs) that are based around the user’s specific needs. One of the great things about these tools is that they are straightforward to use, and this is something that contributes to their popularity. The user has to simply complete a questionnaire. This probes on financial information about the investor, the goals of what he/she wishes to achieve, and additionally questions that analyse risk tolerance. The robo advisor takes this information and puts it into the algorithm to come up with suitable investments. These are offered to the individual to look at before the robo advisor actually goes ahead and buys anything. The customer can at that point either agree with the analysis and get the robo advisor to go ahead and make the purchases, or alternatively change aspects of the questionnaire input to come up with an alternative portfolio. Such programmes commonly provide portfolios that are diversified and that are based on low cost stock and bond ETFs. However, it is possible for the user to impact on the mix, as well as to make sure that some asset categories are not included. Once the portfolio is set up, the robo advisor programme behaves like a portfolio manager. It measures the portfolio and adjusts it over time to make sure that it meets the need of the investor as situations change. Robo advisors have up until recently been particularly popular with younger users. This is thought to be for the simple reason that younger investors are happy to use online services. The benefits are significantly lower costs, and this may be another reason that they have attracted younger users. Some of the most well established robo advisors are Betterment and Wealthfront. You have to have $5,000 as an initial deposit to use Wealthfront, but there is no such requirement for Betterment. Other services ask for a significantly higher deposit. As explained, robo advisors have commonly been targeted at those investors that are younger and not so wealthy. One of the factors in this has been low fees and deposits, which make these sorts of platforms good for getting started. Such a target market may not necessarily have the money for a personal financial advisor, or chances to gain access to portfolio management services, so robo advisors provide a way in to investment. 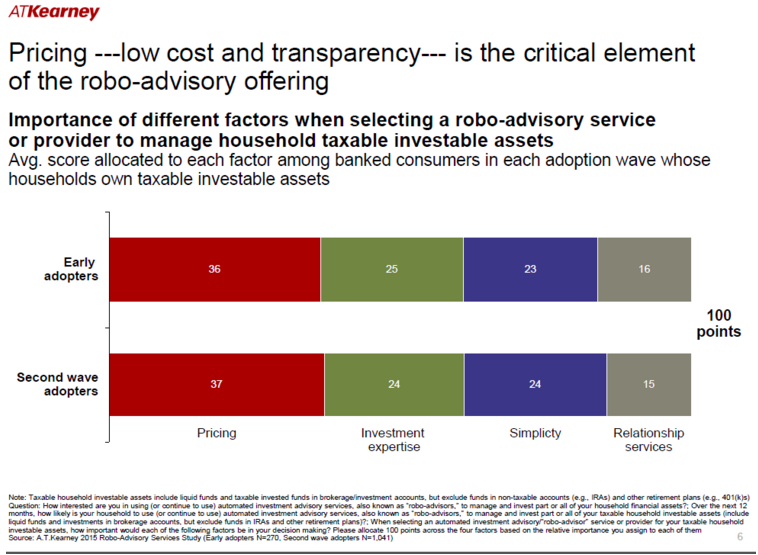 Robo advisors are quite basic in the services they provide. The portfolio management that is offered is quite elementary, and certain services are not included, such as tax planning, estate planning and retirement planning. Still, while robo advisors do not necessarily provide all of the desirable information that the extremely wealthy might be looking for, this does not preclude them as being a good option for some of these services, such as portfolio management. Extremely wealthy people can still turn to a financial advisor for the other services outlined. It has already been outlined that ultra wealthy people can make considerable savings by using robo advisors. For example, a financial advisor could easily charge anywhere between $100,000 and $200,000 in fees per year if the client has a portfolio of investments around the $10 million mark. However, a robo advisor working on a similar type of portfolio would charge only somewhere between $15,000 and $60,000 depending on the service selected. This represents very considerable savings of up to 90%. For this reason robo advisors should no longer just be the preserve of younger, less wealthy investors. The extremely wealthy ought to give them serious consideration as well.